DPR 518 is a Seddon Mk 4 with a Santus (the Uncle Joe’s Mint Ball family of Wigan) bodywork to a C30F format. 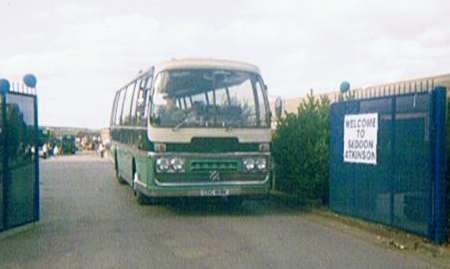 It was new to H. A. Vincent in 1949 and is seen in the depot yard at Mallard Road, Bournemouth, during an open day on 22 May 1983. I am not sure if this vehicle is still on the restoration scene or not, if it isn’t, a lot has been lost. According to an article in Classic Bus a few years ago the Santus family of the bodybuilders is unconnected with the Mint Balls family. I seem to remember that this was mentioned before on this site too, although my memory isn’t good enough to say on which thread! I last saw this vehicle at a Potteries rally in 1995, so it survived at least until then. Does anybody have a more recent siting? I hope so, despite all the dreadful things that people say about both the Seddon Mk 4 chassis and Santus’ post-war bodywork. I’ve heard the former described as "not fit to carry coal" and the latter as "made from poorly seasoned rot". Good luck to whichever preservationist now has this deceptively attractive vehicle! 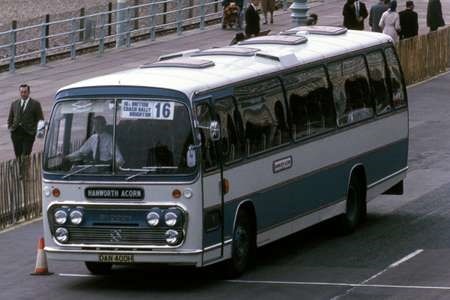 I think the thread you mean Neville is this Vics Tours (Isles of Scilly) – Bedford OB although that thread has a reference to this thread regarding Santus Leon Motor Services – Leyland Lion – JP 42 hope this helps. I researched the Santus family a while back on the FindMyPast website. The surname Santus is a very uncommon one and the majority of them were concentrated in the Wigan area, yet I could not find any link between the coachbuilder and the Uncle Joe’s Mintballs family as far back as the early 19th Century, though there may still have been a connection going back before that period. It seems likely that Santus may have been an Anglicised version of the Hispanic Santos name. A little further research shows that it was still around when the PSVC listing for 2012 was compiled. I’m not sure how I managed to miss the entry! 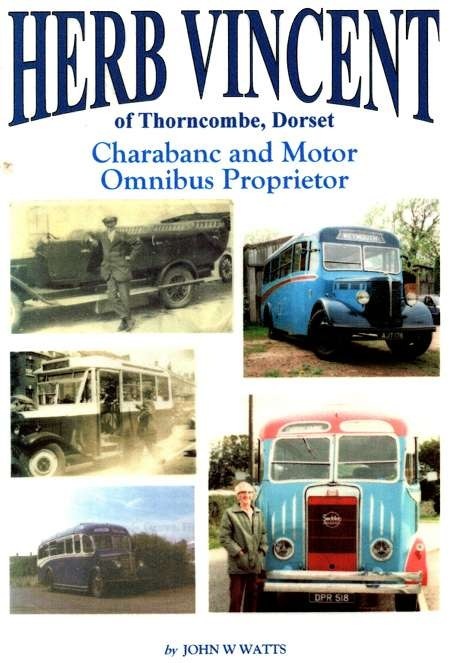 Herb Vincent Charabanc and Motor Bus Proprietor superb title of a proud local operator. 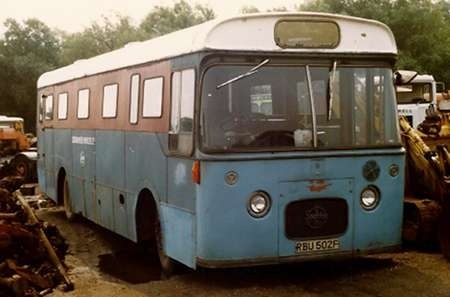 It was written and produced by John W Watts as a tribute to Herb Vincent and is a must read, and a social history of a rural coach company if it is still available. Mark, Many thanks for the referral to the book. I have submitted already a view of AJT176, but I’ve no idea when [or if] Peter will publish it. HFG 666 in Stephen Allcroft’s link has a body by KW Bispham according to Scottish Area records. John, Thank you very much for that. I suppose I hadn’t thought of KW as I associate them with rebodies like the one at this link. I have viewed the comments about the Santus name and would like to correct some of the past information. I was born and bred in Standish Lancashire and my Father worked on the shop floor,both as coachbuilder and shop manager, of Santus Motor Bodies between 1935-45. I have recently looked up the history of Santus in the Wigan Museum. Thomas Santus started the company in 1906 as a wheelwright and by 1914 was repairing waggons etc. During the 1920’s and 30’s Santus built up a reputation for quality vehicle repairs and bus/coach bodies. By 1937 he was renowned for the Luxury Coach Bodies they produce. 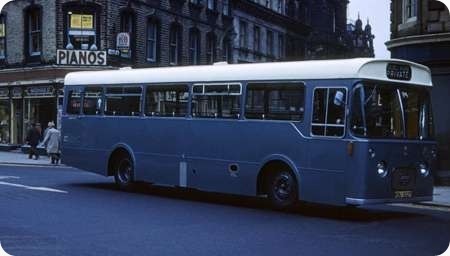 The attached photo was in my Fathers collection of photographs and one assumes it was the vehicle he worked soon after joining the company from another Wigan bus body company Massey Bros. In 1939 Thomas died and his 3 sons took over the business. By 1953 with business declining the sons decided to close down and sold up on 12th September 1953. The details came from the report in the local paper Wigan Observer September 1953. The works was situated in Powell Street Wigan and the Army acquired the building for their training recruits. Santus’s tools and equipment was sold off to various people. I trust this throws more light on your history. The attached photograph also displayed on The Wigan World (Album) web site. Thx, Barrie, for that useful fill-in information. I’m very impressed by the stylish body on the Leyland TS coach, with its slightly staggered rear waistline. I’d say it dates from around 1937. 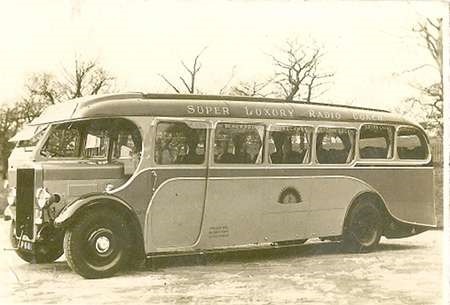 I like the selling point, "Super Luxury Radio Coach" No sign of a wireless aerial, which would have been quite large at that time. Chris, further info came to light recently- from my father’s diaries this vehicle was completed, inspected passed and delivered to Fairclough Bros. (BeeHive) Lostock Lancashire on 26th July 1938. Incidentally, the 3 sons of Thomas Santus were William,Norman & Alan. 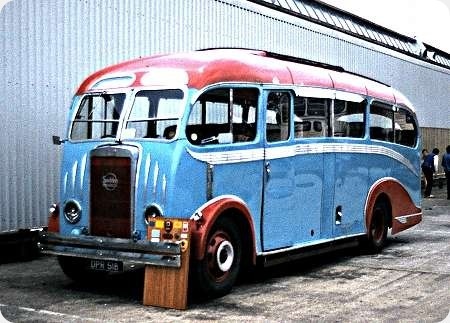 According to the information held in the Wigan Museum on Santus, there was a small number of Luxury Coaches of this style built for independent coach firms in the North West of England around the period 1935-38. 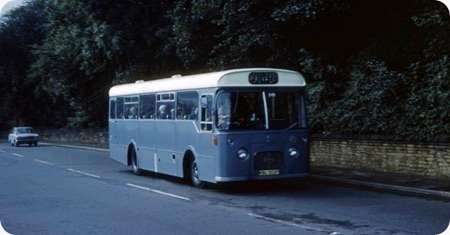 1 photograph in the files show ED 8919 with Ashtons Coach Luxury adorned on the side. Have tried to find details on Fairclough Bros. without success but I believe BeeHive was part of the Co-Op travel group. Fairclough Bros. was initially J. & J.W. Fairclough (t/a Fairclough Bros.) later becoming Fairclough Bros. Ltd. The address which I have is 993 Chorley New Road, Lostock, Bolton. The Passenger Transport Little Red Book, 1965 edition, records them as Fairclough Bros. Ltd., Beehive Garage, Chorley New Road, Lostock, Bolton – possibly the same premises. 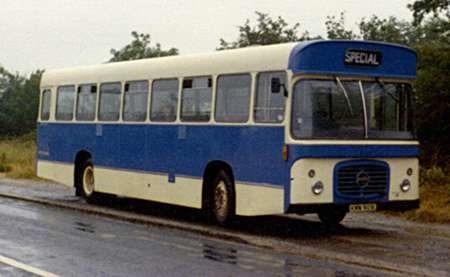 The first known coach was a Leyland Tiger, JP 681, with an unrecorded C32F body reported as new in March 1935. The registration in your photograph looks as if it could be JP 681 so it may have been rebodied for some reason. 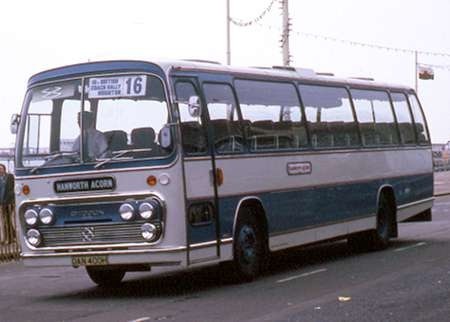 A total of seven Santus bodied coaches are recorded with Fairclough from ANM 24 (a rebodied A.E.C. Regal) in June 1946 to MTJ 774 and NTD 447 in June and August 1951 – Both Leyland Royal Tigers. A link to a photograph of the latter one is www.sct61.org.uk/zzntd447 Fairclough Bros. sold it in November 1959.